Shaving is a necessity, but even so, we hardly ever see much innovation in razor technology. That is, until two Swedes unveiled the Skarp razor, which legitimately uses an actual laser to shave hair away with ease. In 1989, Morgan Gustavsson invented the IPL (Intense Pulse Light), a very popular form of hair removal treatment that, unfortunately, couldn’t be brought to the everyday shaving market until a recent discovery. Previously, wavelengths of light could cut through dark hair, for example, but had more trouble when it came to lighter hair. Now, Gustavsson and his partner, Paul Binun, have found a chromophore (part of a hair molecule) that is shared by all humans, capable of being cut easily when exposed to a particular wavelength of light. 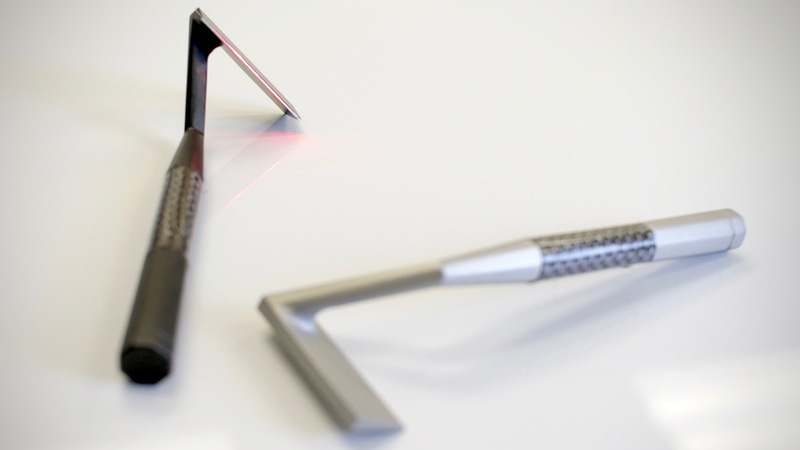 In order to capitalize on the discovery, the two have developed a commercial product called the Skarp razor, which claims to remove hairs in a swift graze of the laser. Visit the Kickstarter page to support the Skarp razor, which has already raised over $715,000, shattering its original goal.